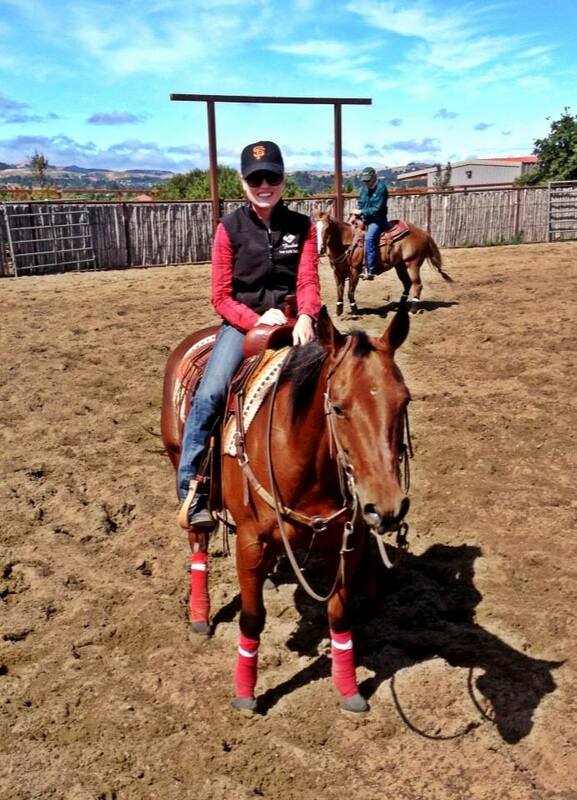 While in Petaluma last week we not only got to ride, work great cows but I also got to see my family! My brother flew in with my Dad and my Mom picked them up at the airport to come visit the Circle Oak Ranch for the day. After riding we went to Dempsey's and had lunch. 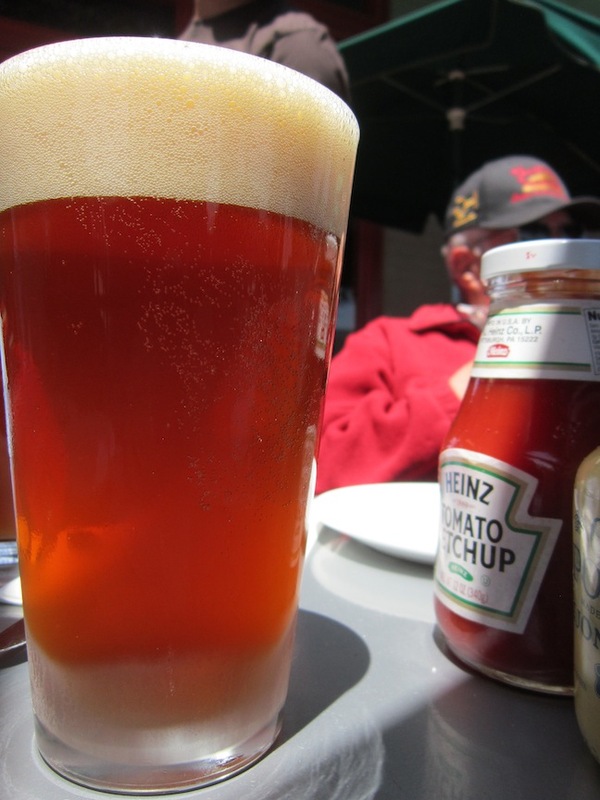 Ron loves the Red Rooster Ale so we ordered a pitcher and everyone had a taste. It is really good. 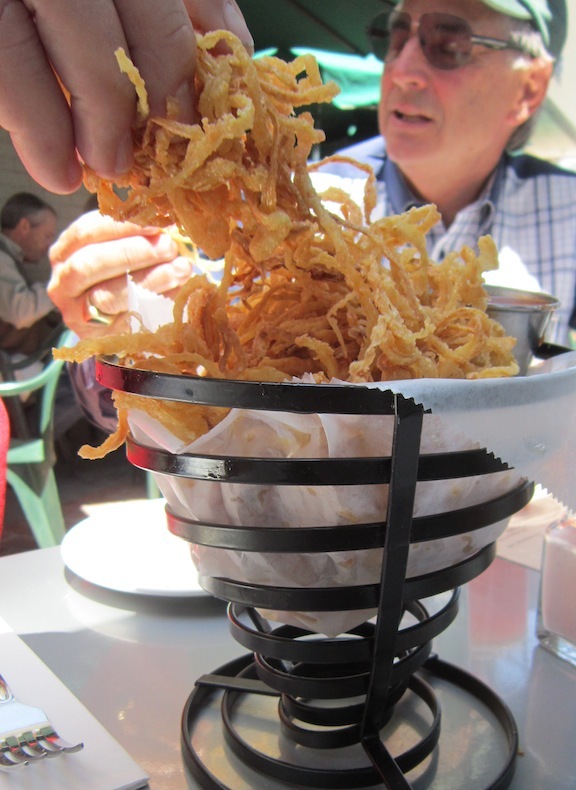 One of my favorite things about Dempsey's, as I have been here before, are the Onion Rings! They are thin and crispy! Totally addicting and served with their homemade barbecue sauce. Mom had the Fish Sandwich with sweet potato fries. 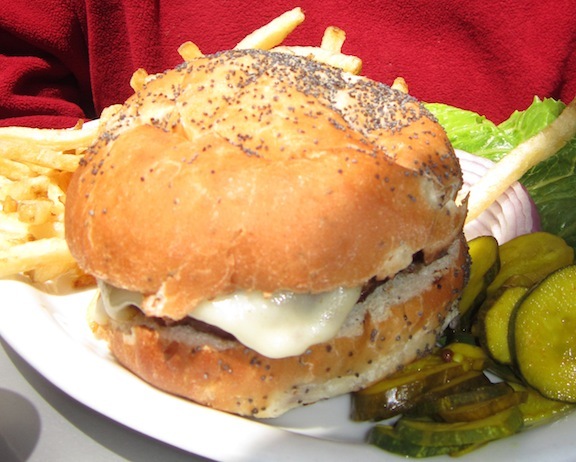 The fish was crispy and served on a soft poppy seed bun with the works. I loved the fries, as I sampled a few on the sly. 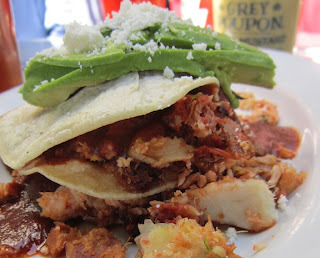 I had the Pan De Cazon: Basically three corn tortillas stacked between fish picadillo, sliced avocado, cotija cheese and red chile sauce. It was ok, sort of on the dry side. I kind of wish I explored something else on the menu. 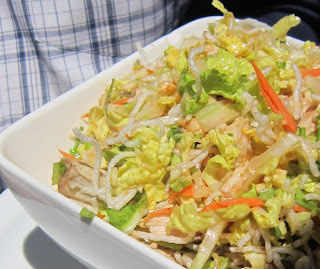 Ron had a beautiful salad: Chinese Chicken. It looked refreshing and healthy! James and my Dad ordered burgers. I didn't grab a more mouth watering photo but they both seemed to enjoy them. I liked that they served up their fries like skinny matchsticks, they are so much better that way! What a terrific day! Cutting, friends, family and great food. I am a lucky lady! !